Happy holidays to all — hipsters included. Your holiday gift list may be long, but your shopping can be solved in one lovable four-letter word: wine. It’s the gift that, in a pinch, beats a sweater every single time. This Ribera y Rueda gift guide was created to help you shop with cat-like holiday reflexes for the trickier characters on your list. The delicious wine recommendations come courtesy of sommelier Charles Ford. The clever (and useful!) wine accessories are things we love — and think that those on your list will, as well. Whether you’re buying for a farm-to-table hipster, trying to kiss up to your boss or are looking to treat yourself to a bottle of the good stuff (because after all of that gifting, you deserve something delicious, too), consider yourself covered. And fear not if your gift target only drink red or prefers only white — Ribera del Duero (red) and Rueda (white) have got you covered. It’s velvety, toasty, and c-a-l-m-i-n-g — just what everyone needs. At the perfect price point, this Ribera del Duero Tempranillo pairs with anything Mom is cooking, from lasagna to latkes to “oops, I burned the turkey” takeout. Remember to pour yourself an in-laws-are-visiting sized glass. 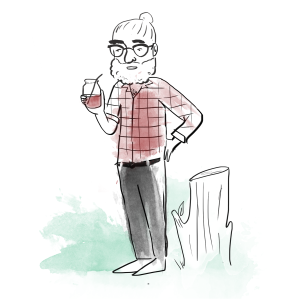 You might know him — all-plaid-everything, maybe a curly mustache. Meld his love of city biking + park picnicking + mason jar drinking with a Bicycle Wine Rack. 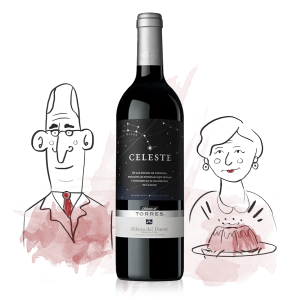 Send him off with a bottle of deliciously shareable Celeste Tempranillo. They’re cooking Kosher dinner. You’re on wine duty. Don’t fret! 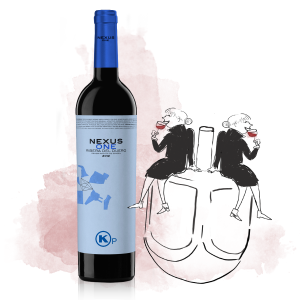 Nexus One Kosher Tempranillo from Ribera del Duero packs a delicious punch pairs with anything. It’s balanced, smooth and elegant with a touch of caramel. Even if Kosher isn’t a concern, this is a bottle worth tasting. He’s the perfect host. Charming. Entertaining. Always putting on a show for nibbling n’ noshing guests. Give him something to show off! We nicknamed this the “Dinner Theater” carafe because it’s rather magical to watch. 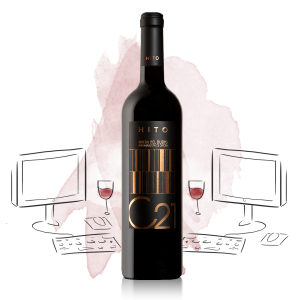 Pair it with a bottle of HITO C21 from Ribera del Duero and everyone will enjoy perfectly aerated, rich wine goodness. She gave you the raise. You give her the wine. This award-winning Ribera (and Wine Spectator’s Top 10 of 2015) is as impressive as it gets without being a complete bank-buster. She can drink it now and enjoy the velvety tannins and tobacco notes…or save it for 20 years. Now look who’s the boss. Body: For the guy who likes a little humor in his gifts, there’s the Polar Ice Bucket. As ice melts, water drips on an unsuspecting little bear. We recommend filling it with a crisp, dry (Antarctica-like) Naia Verdejo, an affordable Rueda with aromas of lime & kiwi. We’ve asked around and what new parents really want is (drumroll) an offer to babysit. And maybe a bottle of wine! 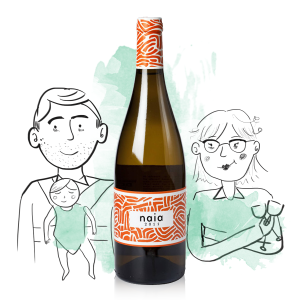 So gather their kids on a Friday night and send them off with a bottle of floral, fruity, wallet-friendly Naia Verdejo from Rueda. They’ll love it more than you know. She’s the gal who’ll share a bottle of something new. The guy who’ll go in for a second glass. This cork memories kit is the perfect way to save up those wine-drinking memories (via corks) in the Bakus Trivet. 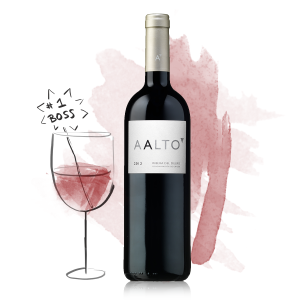 Let your first cork be from a bottle of AALTO! A stunning Tempranillo makes a great memory. This wine is for the complex drinker; the one you go to for a serious recommendation. Gift him a Rueda white that’ll knock his socks off … at an incredible value. 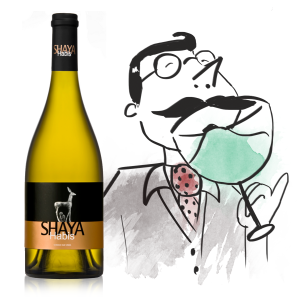 Shaya Habis is bright, yet spicy — smoky, yet fruity, and showing the richness of old vines. Next time, he’ll be asking you for the wine recco. Just in case you’ve already taken care of the whole perfectly-cut stone for her hand, now you can take the next big leap with a perfectly cut glass for her vino. These no-topple stemless beauties remind us all that diamonds (filled with wine) are a couple’s best friend. Don’t default to just any gift card. If they love Spanish wine & food, La Tienda specializes in oh-so-Spanish products like chorizo and manchego — as well as Ribera del Duero and Rueda wines. Let them do the shopping… and ask for an invite when their order arrives. Luminous Morello cherry red with garnet highlights. Intense aromas of wild blackberries and blueberry jam with toasted and spicy notes, such as pink peppercorn, and exciting undertones of hot wax and exquisitely fine oak. Round, velvety and mature, it envelops the palate in its perfume.